On Site or Remote Work Benefits of Both Options! Every day, technology opens the door more and more for people to work from home. Also other locations other than the office at work. With occupations like web development or search engine optimization, anyone with a internet connection and a laptop can work remotely. On site or remote work can benefit the company and the employee. Besides web development there are other careers that can be worked from home. Jobs such as translators, call center representatives, travel agents, tech support, medical transcriptionist, blogger, or writer. Working remotely is beneficial for employees. But also having access to remote freelances can be beneficial for a business as well. With the ability to hire freelancers from all over the globe, business can cover their needs for any project with relative ease. 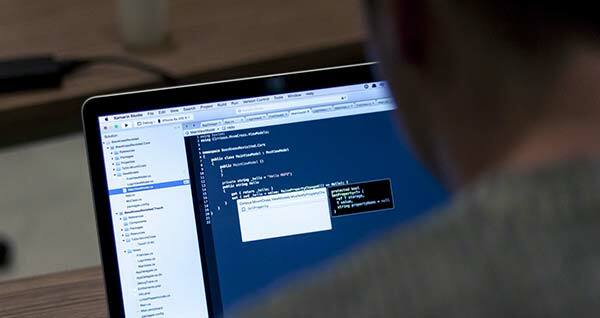 With web development, certain projects may require coding out of the scope of the on site staff. But with access to freelancers a project can be finished on time and and under budget. Even with all the remote abilities of workers, a central office should be maintained. Though times are changing, clients still appreciate the ability to visit an office. Being able to meet face-to-face with representatives of a company reassures them. By maintaining a central office, you give an impression of a much more professional agency and builds confidence with your client base. As you can see both on site and remote work will benefit both parties. At VR Metro, a great benefit to all our clients is we have a local office and can meet with clients to go over their accounts and communicate clearly with them. If you are looking for web development services in Westland, Canton, Livonia or anywhere in Southeast Michigan, give us a call at 734-729-7082 or fill out our contact form and see what VR Metro can do for you.